It is evident that Neotel is starting to suffer from “large company syndrome”, a common “you can’t touch me” symptom that many big brands seem to be diagnosed with. 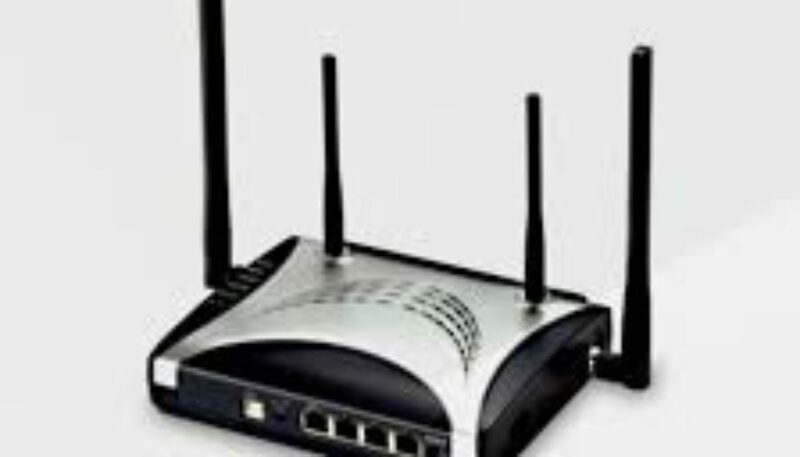 Neotel started off being very consumer focused and their customer service was outstanding. In my opinion they rapidly deteriorated to money focused decisions that left the customer wishing they never signed up in the first place. I signed up first for the NeoPrime unit a couple years ago and then migrated to the NeoFlex unit early this year. I was called by a Neotel employee asking me which Neoflex package I wanted to go on. I asked about the options (which were 5GB, 10GB, and 15GB). Not knowing my current usage, I asked the employee if it was possible to start with the 5GB and then upgrade to the 10GB or 15GB later as soon as I knew my usage… his answer was of course YES, AT ANY TIME. We left it at that. The following month after my NeoFlex was activated and running very well, I called the call centre and asked to be upgraded to the 10GB package as I was using more than 5GB per month. I was informed that this was not possible because they no longer offer this package. I went to the website and there were the packages offered (all including the 10GB), nothing had been changed. So I requested that they remove the false advertising from their site (this was in March 2011) Up until the time of writing this article the information still has not changed – 8 Months later. I requested for the upgrade through the CS Experience Manager at the time, explaining that I was given bad information on installation about being able to upgrade at any time. This high up “experience manager” who has since left the company put in the application to upgrade which was declined with no reason. So here I am paying close to R1300 per month just for the data I use because Neotel can change its packages at any time even after promising before sign up that the packages are upgradeable. Simply removing packages without informing the customers is in my opinion due to the fact that they wish to make more money with the out of bundle rates. 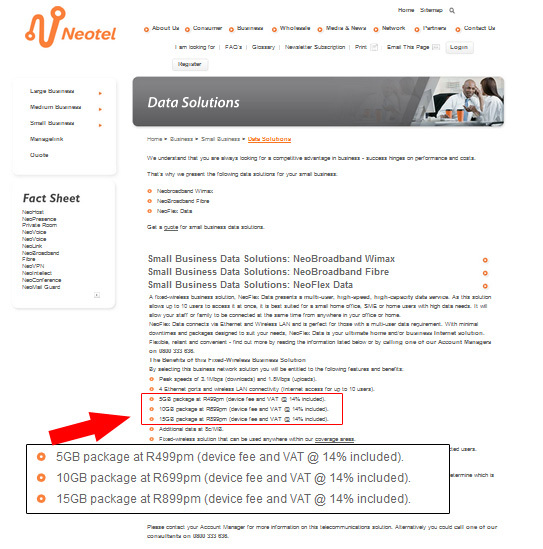 When I ask Neotel why the 10GB package is no longer available, they chose not to comment. 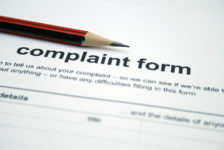 Why do large companies neglect their existing customers? What happened to the days then companies put their customers first (when the customer request is reasonable)?